D’station Racing has become the latest Japanese squad to confirm a Blancpain GT Series Asia entry for its home rounds at Suzuka and Fuji where team owner Satoshi Hoshino will partner Seiji Ara at the wheel of a Porsche 991 GT3 R.
D’station Racing usually campaigns Porsches in Super GT’s GT300 and Super Taikyu categories, both of which cater for FIA GT3-spec cars. Hoshino has been racing in the latter since 2016, the same season he also clinched Porsche Carrera Cup Japan’s Gentleman’s Cup title. 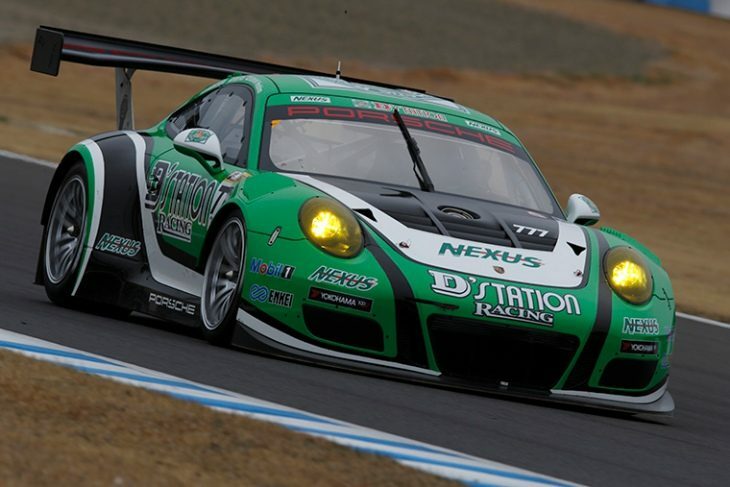 Now, the same 991 GT3 R he races in Super Taikyu will be appearing at Blancpain GT Series Asia’s upcoming Suzuka and Fuji rounds as part of the SRO series’ inaugural season. Alongside him will be Ara, who is best known domestically for his Super GT and Formula Nippon exploits. But he’s also recognised on the world stage as an accomplished sports-prototype driver and outright winner of 2004’s Le Mans 24 Hours alongside Tom Kristensen and Rinaldo Capello in a Team Goh Audi R8. Ara has also been Hoshino’s driver coach since 2016 when they first teamed up in Super Taikyu’s ST-1 class. D’station’s news comes just two weeks after CarGuy Racing confirmed its Lamborghini Huracan GT3 would be joining the grids at Suzuka and Fuji, while further Japanese team announcements are expected imminently. Suzuka’s two 60-minute races take place over the weekend of June 24/25 before Fuji welcomes Blancpain GT Series Asia on August 19/20. They’re followed by two further events in Shanghai and Zhejiang.